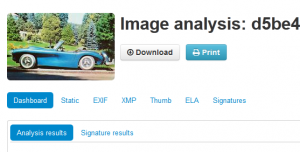 Browse: Home / GHIRO v-0.1 released : is a Fully automated and open source software for digital photo & digital image forensics. GHIRO v-0.1 released : is a Fully automated and open source software for digital photo & digital image forensics. Sometime forensic investigators need to process digital images as evidence. 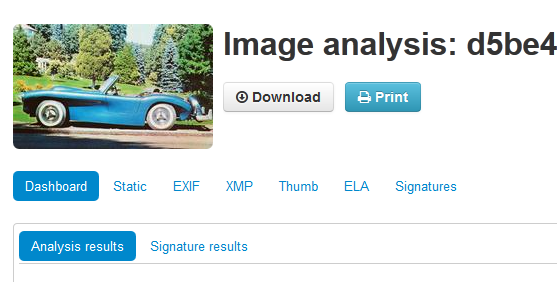 There are some tools around, otherwise it is difficult to deal with forensic analysis with lot of images involved. Images contain tons of information, Ghiro extracts these information from provided images and display them in a nicely formatted report. Dealing with tons of images is pretty easy, Ghiro is designed to scale to support gigs of images. 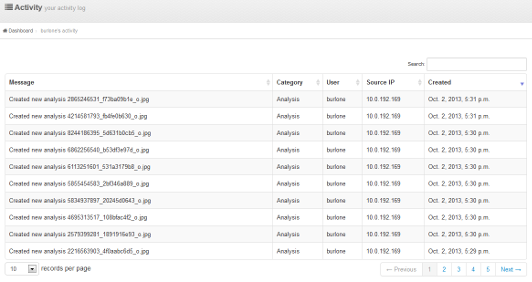 All tasks are totally automated, you have just to upload you images and let Ghiro does the work. Understandable reports, and great search capabilities allows you to find a needle in a haystack. Ghiro is a multi user environment, different permissions can be assigned to each user. Cases allow you to group image analysis by topic, you can choose which user allow to see your case with a permission schema. GHIRO v-0.1 released : is a Fully automated and open source software for digital photo and digital image forensics. + Metadata extraction : Metadata are divided in several categories depending on the standard they come from. 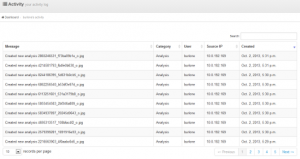 Image metadata are extracted and categorized. For example: EXIF, IPTC, XMP. + GPS Localization : Embedded in the image metadata sometimes there is a geotag, a bit of GPS data providing the longitude and latitude of where the photo was taken, it is read and the position is displayed on a map. + MIME information : The image MIME type is detected to know the image type your are dealing with, in both contacted (example: image/jpeg) and extended form. + Error Level Analysis : Error Level Analysis (ELA) identifies areas within an image that are at different compression levels. The entire picture should be at roughly the same level, if a difference is detected, then it likely indicates a digital modification. + Thumbnail extraction : The thumbnails and data related to them are extracted from image metadata and stored for review. + Thumbnail consistency : Sometimes when a photo is edited, the original image is edited but the thumbnail not. Difference between the thumbnails and the images are detected. + Signature engine : Over 120 signatures provide evidence about most critical data to highlight focal points and common exposures. + Hash matching : Suppose you are searching for an image and you have only the hash. 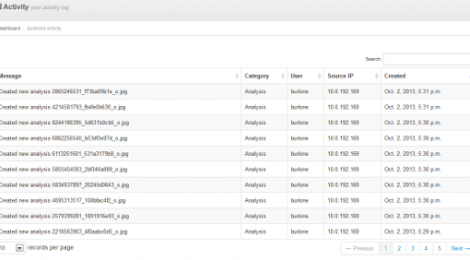 You can provide a list of hashes and all images matching are reported. ← Update jSQL Injection v-0.6 Alpha : a java tool for automatic database injection.